One area of life that is greatly influenced by economics but you might not think of as a typical economics topic is sports and match betting. Gambling on sporting events is a huge international multimillion dollar industry covering gambling from traditional betting events like dog or horse races to modern betting outfits that let you place bets on everything from how many goals will be scored in a given match to which players will be picked for a draft. 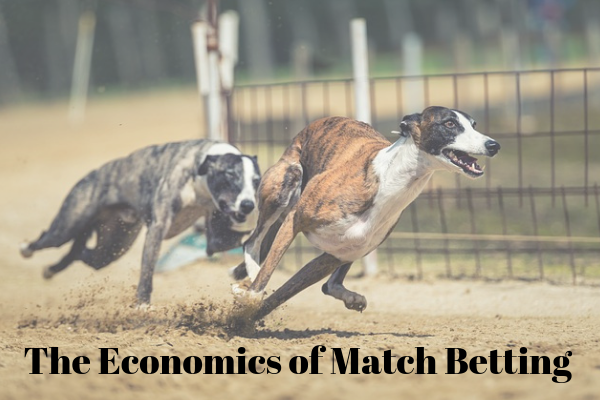 As betting on sports events is essentially an exercise in modelling and probability, we can use the lens of economics to understand more about how match betting works. 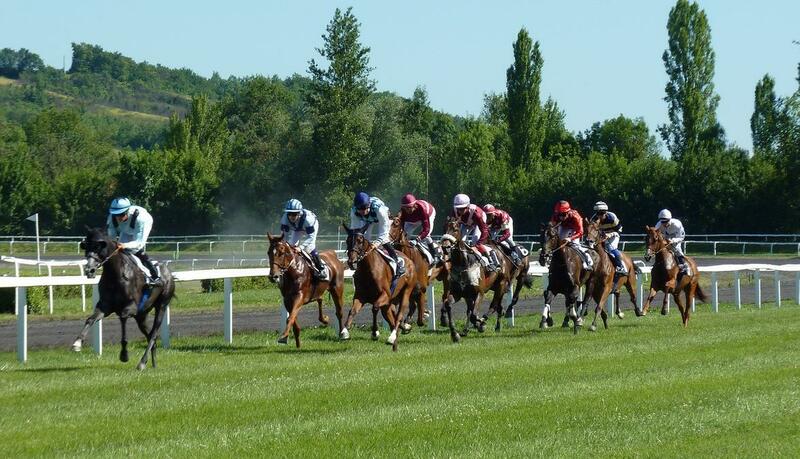 If you go to make a bet on a particular sporting outcome, the bookmaker will offer you odds: that is, their figure for how much they will pay out if you win the bet, based on their estimation of the probability of you winning. For an event that is highly likely, you will get odds that pay out very little, but for an unexpected turn of events, you would be paid more. Setting these odds is one of the most important jobs of a bookmaker, as the odds that they offer must be realistic enough to draw in betters but not too generous that the bookmaker risks losing money. The economics comes in when we consider the efficient market hypothesis, which states that markets will natural organise themselves into the most efficient form, so that the price of any goods or services are inherently linked to the worth of those goods or services. This assumption is pervasive throughout economics theory, and if it held for sports betting then we would expect that the odds offered by a bookmaker represented the exact odds of that event occurring. However, this is clearly not the case as if it was, neither bookmakers nor gamblers would ever make a long-term profit. Instead, both bookmakers and betters are driven by psychological forces, such as peer pressure – feeling that you ought to make a bet because everyone else is doing so – and the sunk cost fallacy – when you know your faith in a certain team is misplaced but you keep betting on them anyway because you don't want to confront the fact you were wrong about their skills. These are examples of a recent approach to economics, behavioural economics, which has been championed by Richard Thaler and others and which seeks to bring together insights from both economics and psychology. Another feature of gambling noted by both economists and psychologists is the individual differences in how people respond to betting. For the majority of people who gamble, betting is an entertaining activity that they enjoy periodically and usually don't take too seriously. But for a minority of people, gambling becomes highly addictive and a destructive force in their lives. It is for this reason that gambling is heavily regulated in most countries and outright banned in others. Gambling clearly brings pleasure and amusement to many, but the fact that it is regulated in most places shows that despite economic assumptions that people will maximise their own self-interest, when betting, they often do not. A final point of interest when looking at the role of economics in sports betting is that of match-fixing. Match-fixing is a problem throughout both amateur and professional sports, and some argue that fixing arises in part because the stars of sports are young players who are often from humble backgrounds, who may not have a lot of experience with issues of finance, and taking bribes to fix a match is a temptation that is too strong for them to ignore. However, economic theory suggests that the problem is more complex than young men who suddenly become famous having poor impulse control. In his paper on match-fixing from 2015, Bibhas Saha argues that there are hidden economic incentives to cheat. He divides cheating behaviours into “cheating to win” like smuggling notes into an exam, and “cheating to lose” like a student who deliberately flunks an exam because she does not want to continue her field of study despite her family's ardent wishes. But match-fixing is different, because the aim is not for the player being bribed to lose, but rather to under-perform. The issue is that this method of cheating is hard to spot, especially in team sports where each player has only a limited influence on the outcome of a match. Further, with the rise of betting websites, there are more incentives for players to participate in match-fixing because there are more financial opportunities available, and the anonymised exchange of money facilitated by these sites makes taking that money less risky. One way to identify this more complex form of cheating is to look at aggregated data from betting websites, which is what Christine Deutscher and colleagues did in their 2017 review of match-fixing in the German Bundesliga. By examining data from the website Betfair they were able to identify specific referees whose matches brought in a significantly higher number of bets than other referees, possibly suggesting improper behaviour. They point out the often low salaries that referees receive as an incentive to participate in match-fixing as well as the short term contracts many are on which makes them uncertain about their financial future. Seen in economic terms, match-fixing may be less of a moral failure and more of a rational financial decision for sports professionals. As match-fixing by team officials is especially hard to detect, this kind of analysis using large data sets may be the best chance we have to identify cheating in team sports right now.